Injury lawyer Dennis DeCaro is committed to advocating for his clients in all cases where an individual has been injured, or where an individual’s civil rights have been violated. Mr. DeCaro has represented injured individuals in a wide variety of situations: car accidents; slip and falls; trucking collisions; medical malpractice; product liability; and premise liability. Mr. DeCaro is especially proud of his experience representing union members and their families throughout the State of Illinois. Mr. DeCaro’s substantial settlements, while financially benefiting his clients, have also benefited society through safer workplaces, increased police and paramedic training, improved construction oversight, the removal of dangerous conditions and many other positive changes. Good Housekeeping Magazine - Discussing a case where Mr. DeCaro represented a young man, following a seizure, was allegedly suffocated to death by police and paramedics. Trial Magazine - Discussing the settlement of a case where a municipal garage staircase collapsed killing his teenage client. 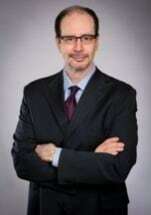 Mr. DeCaro is currently the Board Chair of the Epilepsy Foundation of Greater Chicago, and is a Board Member of the Epilepsy Legal Defense Fund of the National Epilepsy Foundation. 100% All types of injury cases from the injured party.